The futures of both humans and Oankali rest in one young being's successful metamorphosis into adulthood. 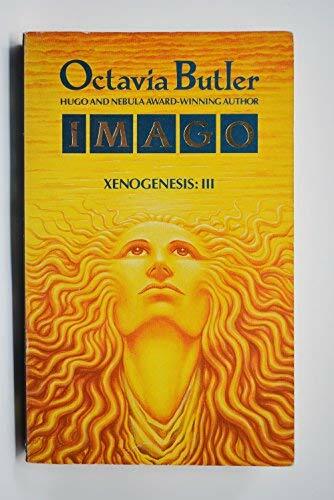 This conclusion to the Xenogenesis series (Dawn and Adulthood Rights) focuses on Jodahs, the child of a union between humans, alien Oankali, and the sexless ooloi. The Oankali and ooloi are part of an extraterrestrial species that saved humanity from nuclear oblivion, but many humans feel the price for their help is too high: the Oankali and ooloi intend to genetically merge with humanity, creating a new species at the expense of the old. Even though the Oankali have--against their better judgment--created a human colony on Mars so that humanity as a species can continue unaltered, many human "resisters" either have not heard of the Mars colony or don't believe the Oankali will allow them to live there. Jodahs, who was thought to be a male but who is actually maturing into the first ooloi from a human/Oankali union, finds a pair of resisters who prove that some pure humans are still fertile. These humans may be his only hope to find successful mates, but they have been raised to revile and despise his species above all else. Octavia E. Butler was the first black woman to come to international prominence as a science fiction writer. Incorporating powerful, spare language and rich, well-developed characters, her work tackled race, gender, religion, poverty, power, politics, and science in a way that touched readers of all backgrounds. Butler was a towering figure in life and in her art and the world noticed; highly acclaimed by reviewers, she received numerous awards, including a MacArthur "genius" grant, both the Hugo and Nebula awards, the Langston Hughes Medal, as well as a PEN Lifetime Achievement award.